Gareth Bale’s future is plastered over the fortune ball that is European newspapers. 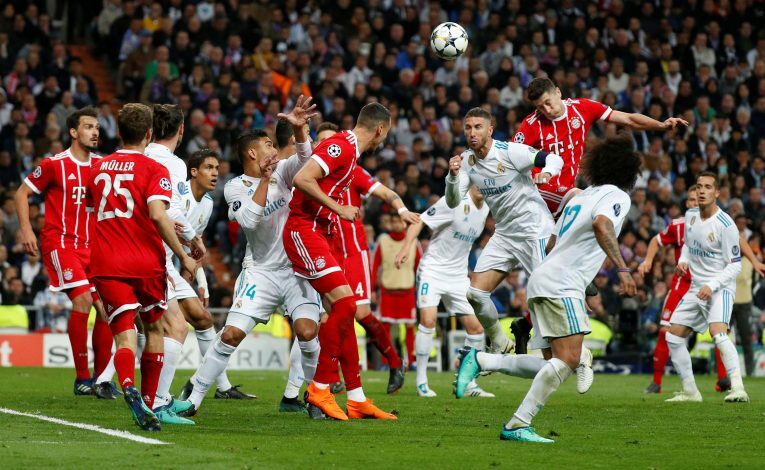 His claims after the Champions League final and the solid absence of comments since have led to a whole flurry of rumors that have attempted to link the Welshman to various European powerhouses. As things stand, Manchester United still appear to be the most likely party to emerge with his signature. However, now there is a big boost in their pursuit. The Mirror claims that Gareth Bale has told Bayern Munich that he will only depart Real Madrid for a Premier League club. Currently, Manchester United and Tottenham Hotspur are the big names that fit into this possibility, although the likes of Chelsea may also fancy their chances. The German giants were thought to be great admirers of Bale and this is bound to kill their interest. United supporters, however, will take this into their stride as great news, despite numerous other factors coming into play before Bale departs from La Liga. The biggest one has arisen out of Zidane’s departure. The successful gaffer was the biggest factor in keeping Bale benched and frustrated, particularly in the last few months. Whoever the new manager is, he will be the instrumental difference in deciding whether Bale stays or not as the 28-year-old forward has seemingly made it clear that game time is his main priority. Further, Florentino Pérez is playing hardball with Bale’s asking price knowing that his age will make Manchester United think twice before breaking any records. Tottenham for their part also have an ace up their sleeve in the form of an alleged clause that will allow them to match any Premier League offer should it be made and bring Bale back to White Hart Lane. Ronaldo’s future may also bring it all back into the loop for if the Portuguese superstar departs an automatic spot is created. Lastly, if the departure is to Old Trafford, then that may as well be the end of Manchester United’s long-held interest in the Welshman.